BAHAWALPUR: Bahawalpur, the city once loyal to Pakistan Muslim League-Nawaz (PML-N) and Jamat-e-Islami (JI), wears red and green colours ten days ahead of the polling day suggesting that the city has already been conquered by Pakistan Tehreek-e-Insaf (PTI). 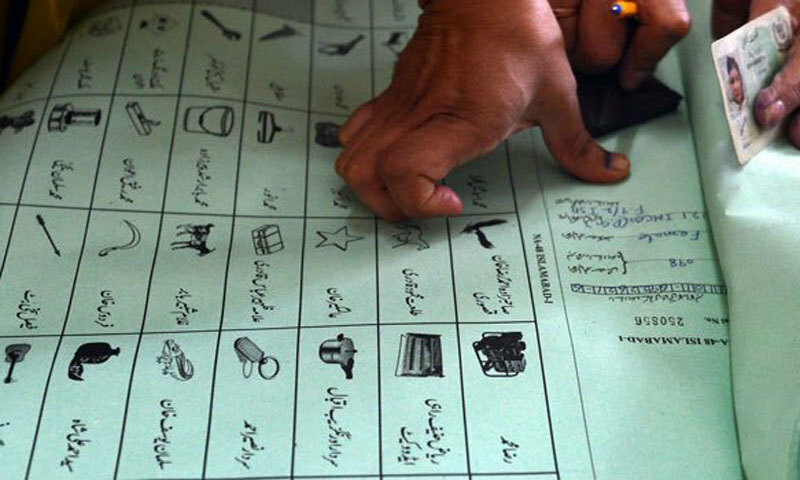 The ground reality, however, is that a neck to neck competition is expected at almost all National Assembly constituencies while the race in several provincial assembly constituencies is also going to be close. There are 1,881,393 registered voters – 1,044,501 male and 836,892 female – who are going to vote at 1,368 polling stations on July 25. As many as 68 polling stations out of 1,368 have been declared sensitive and strict security arrangements have been made including the installation of CCTV cameras and walkthrough gates to monitor these polling stations. NA-170 comprises of Bahawalpur City where a three-way battle is expected between Baleeghur Rehman of Pakistan Muslim League-Nawaz (PML-N), who has been elected twice, in 2008 and 2013. PTI’s Farooq Azam Malik has also been elected twice –in 2002 and previously occasion in 1988. The third candidate is former MPA Dr Wasim Akhtar of Mutahidda Majlis-e-Amal (MMA) for NA-170 who enjoys support from Nawab of Bahawalpur, Salahuddin Abbasi, whose support is considered crucial. At present, Farooq Azam leads the race riding the popularity wave of the PTI while Samiullah Chaudhry and Asghar Joya, the candidates for PP-245 and PP-246 respectively under Farooq Azam, have a personal vote-bank and are adding to the chances of Farooq. Baleegh, on the other hand, was an incumbent in the recent government so his performance is going to matter a lot in the upcoming elections. 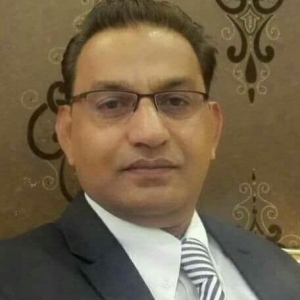 Though Baleegh enjoys complete support of Zaheer Iqbal Channar, the son of former MPA Iqbal Channar and a candidate for the provincial assembly seat, the other wing looks weak as the PML-N has awarded ticket for PP-245 to Dr Rana Tariq, who is a novice politician and lacks public support. For NA-171, the battle is between PML-N’s Riaz Pirzada against PTI’s Naeemuddin Warraich and Tariq Bashir Cheema of Pakistan Muslim League-Quaid (PML-Q). The seat-adjustment between PTI and PML-Q is not working in this constituency otherwise a joint candidate of PTI and PML-Q can easily win against Riaz Pirzada, who is benefiting from the internal divide. Naeem, on the other hand, may still stun both his opponents as he has been very active in the constituency over the past five years while Pirzada stayed in the federal capital. Afzal Gill of the PML-N in PP-248 is up against PTI’s Syed Ali Zain Bokhari and Muhammad Ayyaz of Tehreek-e-Labbaik Pakistan (TLP) and four independents. In PP-247, Riaz’s nephew Kazim Pirzada is in the contest on a PML-N ticket for the second consecutive term. He is facing a challenge from PTI’s Syed Bilal Mustafa Gardezi, MMA’s Khair Muhammad and Pakistan People Party’s (PPP) Rao Tariq. The race for NA-172 is largely between Tariq Cheema of PML-Q and PML-N’s Ch Saud Majeed who are locked in a tough contest from the Jutt and Arain clans. In the 2013 elections, Cheema had emerged as the winner after defeating Saud Majeed who was later tipped as a senator by then PML-N chief Nawaz Sharif. PTI has not fielded a candidate in this constituency as it has agreed to seat adjustment with PML-Q. In PP-249, one of the two attached seats of NA-172, PML-N’s former MPA Khalid Jajja is facing PML-Q’s Ehsanul Haq, PTI’s Farzana Rauf and TLP’s Mehmoodul Hassan. For PP-250, Saad Masood would confront by Cheema’s aide, former MPA Dr Afzal of the PML-Q, as well as eight others including PPP’s Wilayat Ahmed and TLP’s Naveed Asghar. The NA-173 constituency is Bahawalpur rural (Uch Sharif) where Khadija Amir Warran, the spouse of former MNA Amir Warran, is contesting from PTI against Ali Hassan Gilani of Pakistan People’s Party (PPP) and former MNA Najibuddin Owaisi of PML-N.
Khadija Warran leads the race due to the influence of Amir Warran while PPP’s Ali Hassan Gilani has emerged as a major challenger due to PPP’s influence in rural areas of Uch Sharif. He has also made a quiet arrangement with Nawab Salahuddin Abbasi under which Gilani would support the son of nawab, Bahawal Abbasi, in NA-174 while Nawab Salahuddin would return the favour to Gilani in NA-173. For NA-174, battle lines are drawn between Makhdoom Samiul Hassan Gilani of PTI and Bahawal Abbasi – an independent who is contesting on ‘Jeep’ symbol. Bahawal Abbasi, a young man contesting for the first time, has won the sympathies of the locals despite contest against a popular figure Samiul Hassan Gilani, a former tehsil nazim. Ali Hassan Gilani of PPP was a candidate against his younger brother Sami but he reportedly struck a secret alliance with Nawab of Bahawalpur and is no more contesting. Young Bahawal also enjoys support from his cousin Gazain Abbasi, son of Usman Abbasi, who is PTI’s candidate from PP-253. Usman, a popular figure and in a clear lead, is violating party policy by ditching Sami Gilani. The only challenge for Usman is Hussain Ali Durrani, another youngster who is contesting his first election on PML-F ticket. Hussain Ali Durrani, who is a son of former information minister Senator Mohammad Ali Durrani, entered the race with a delay. Hussain is attracting women voters in large numbers while his mother and aunt are also involved in door-to-door canvassing. He may pull a surprise for Usman Abbasi as MMA and Milli Muslim League are also up for his support. For PP-254, PTI’s Syed Iftikhar Gilani may have an easy sailing as former MNA Arif Aziz Sheikh and Jahanzeb Warran of PPP are trailing far behind.